With his turnip head and broomstick legs Worzel Gummidge, now married to Earthy Mangold, is back for another series of adventures. In his own inimitable way, Worzel takes on roles as a schoolteacher, handyman and policeman, each with a chaotic outcome. 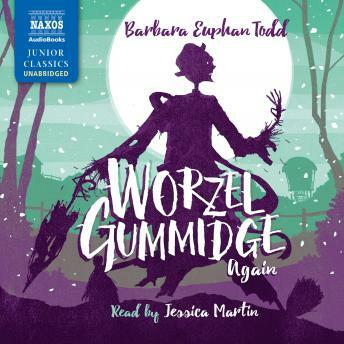 The second of the Barbara Euphan Todd Worzel novels, Worzel Gummidge Again was first published in 1937. The Worzel Gummidge stories were broadcast on the popular Children's Hour on British radio and two of them were featured in TV's Jackanory. 1979 saw the birth of a successful television series based on Worzel Gummidge and other characters from the books, with Jon Pertwee playing the eponymous scarecrow, which still has a dedicated following to this day.